Premium motorcycle manufacturer, Harley-Davidson has stepped into year 2016 by giving its fans a very good surprise. 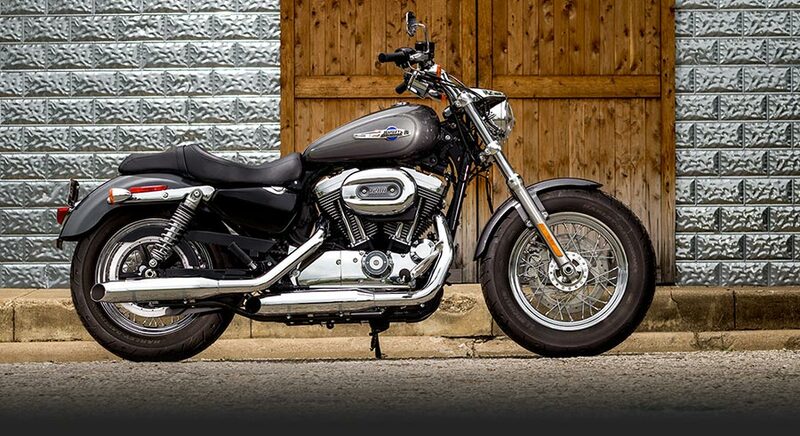 The American motorcycle manufacturer, Harley-Davidson has launched its latest offering, the 1200 Custom to Indian market. The all new Harley-Davidson 1200 Custom would be assembled at the company’s local facility in Haryana, and the company is also looking to expand Harley-Davidson’s CKD line-up in the country. With the addition of new Harley Davidson 1200 to its portfolio, Harley-Davidson‘s count of motorcycles have increased to 13. Out of all these 13 different motorcycles, 8 of them would be taking the CKD route. Under the hood, the all new Harley-Davidson Custom 1200 will be powered by a 1200cc, air-cooled, fuel-injected petrol engine. The engine of the car has been mated to a 5-speed manual transmission gearbox to deliver the power to the rear wheels. The bike’s engine is capable of producing a peak torque of 96Nm at 3,500rpm. The suspension and braking of the car has been well-tuned to suit the Indian road conditions. Some of the other features of the cars include a pull-back handlebar for optimum riding comfort, dual trip meter, and Michelin Scorcher tyres – 130/90 16 at the front and 150/80 16 at the rear. We are expanding our reach to fulfil more dreams of personal freedom and are here to promote the sport of leisure motorcycling. Harley-Davidson India has a strategic product plan to take its growth story to the next level.